THE COMM VOICE Strategic Vision is to: “WOW” the UWGB community with news, commentary and success stories created by COMM students. Showcase the talents of UWGB communication students. Enhance student commitment to strategic thinking, collaborative relationships and continuous improvement. 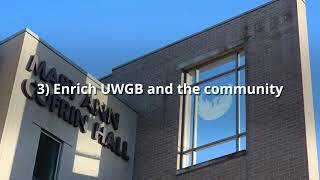 Enrich UWGB and the local community through the evolving magic of effective communication practices.